Kalley Aman is a shareholder and experienced litigator at Los Angeles-based law firm, Buchalter. Ms. Aman is a member of the firm's Labor and Employment and Litigation Practice groups and co-chair of its Hospitality, Restaurant, Food and Beverage Practice Group. Kalley Aman delivers high quality representation to clients involved in a full range of employment law matters and defends employers in single plaintiff and class action litigation and in administrative proceedings before the Equal Employment Opportunity Commission and the California Department of Fair Employment and Housing. 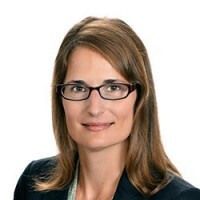 Kalley Aman received her law degree from Lewis and Clark School of Law in 2000, where she served as editor of the Journal of Small and Emerging Business Law. Kalley Aman earned her Bachelor's of Science in Political Science and a Master's Degree in International Law and Political Theory at Portland State University in Oregon. Ms. Aman has been admitted to the state bars of California and Oregon.